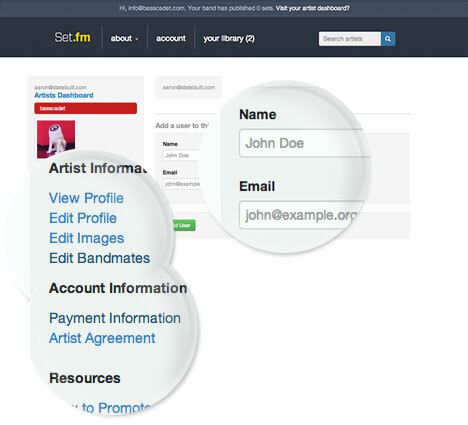 The first step to getting your music on Set.fm is to create an Artist Account. Once you've completed your artist profile you'll be able to create sets and start uploading your shows! of the page to create a new Artist on Set.fm. The Artist Dashboard is where you can edit your profile, edit and create sets, link other online social accounts, enter payment information, and view helpful resources. You can access the Artist Dashboard by signing in to your Set.fm Artist account and clicking Artist Dashboard at the top or bottom of the website. You can access the Artist Dashboard by clicking the “Visit your artist dashboard?” link at the top or the “Artist Dashboard” link at the bottom after signing into Set.fm. Your Artist Profile covers all the basics about your band (Name, Genre, one line description, full description, social media, etc.). Click “Edit Profile” in the Artist Dashboard to start personalizing your page. Fill out your band information. Be sure and mention what genres you associate with, and any comments on your sound in the description area. When you’re done click “Update Artist” to save your changes. You can view your finished profile by clicking “View Profile” in the Artist Dashboard. 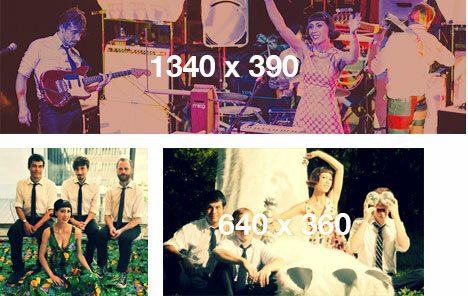 The large banner image for your artist page. It’s big, so hi-res images will work best. When fans search your band or if your band is in a list with other bands this will be the image they’ll see. Upload the biggest squarish image you have. This will be the default placeholder image on your set detail pages. 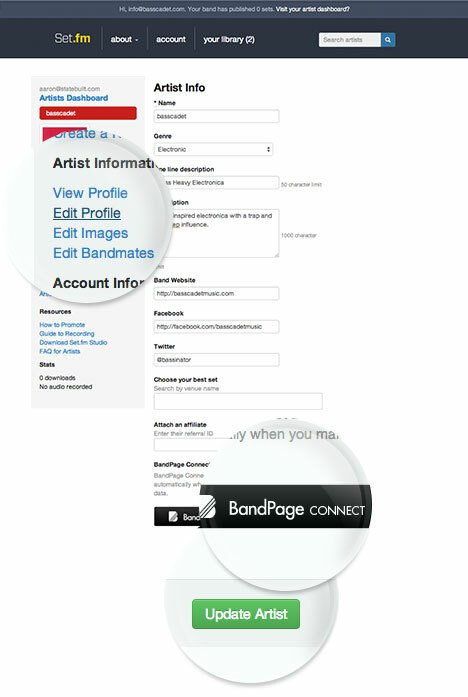 Adding bandmates allows other band members or management to access the same Artist account using their own email address. To add Bandmates, click Edit Bandmates under Artist information. Enter the Name and Email address of the bandmate and click Add User. An invitation will then be sent to their email address to join the Artist account. Set.fm pays you by either PayPal or check. 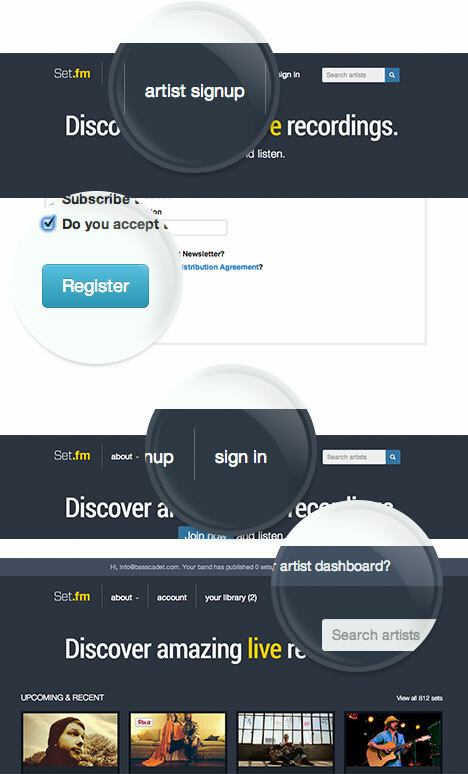 To set up payment, click “Payment Information” under Account Information in the Artist Dashboard.